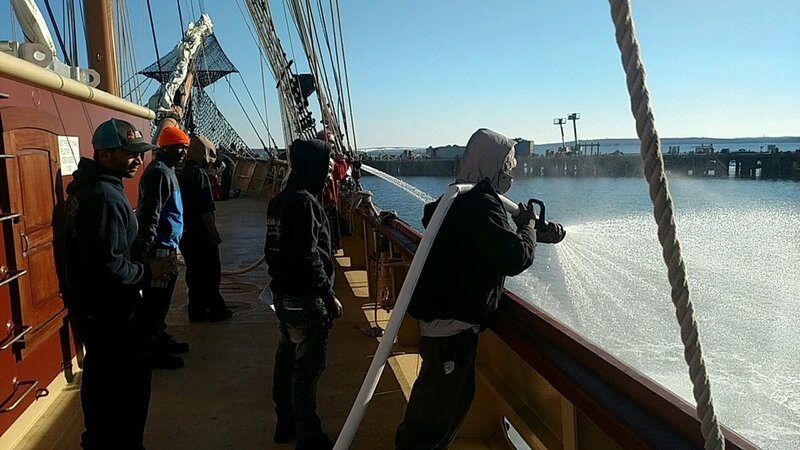 NEWPORT, R.I. (February 18, 2018) – The 200-foot Tall Ship SSV Oliver Hazard Perry is beginning a two-week journey to Florida via Charleston, S.C. that will serve as an internship at sea for six students from the Mid-Atlantic Maritime Academy (MAMA) of Norfolk, Va.
For most of the students, according to MAMA’s Program Coordinator Caroline Smith, this trip aboard SSV Oliver Hazard Perry will be their first time at sea. “MAMA is working to bring these unemployed adults to a point where they are marketable candidates for entry into the commercial maritime workforce,” she said. 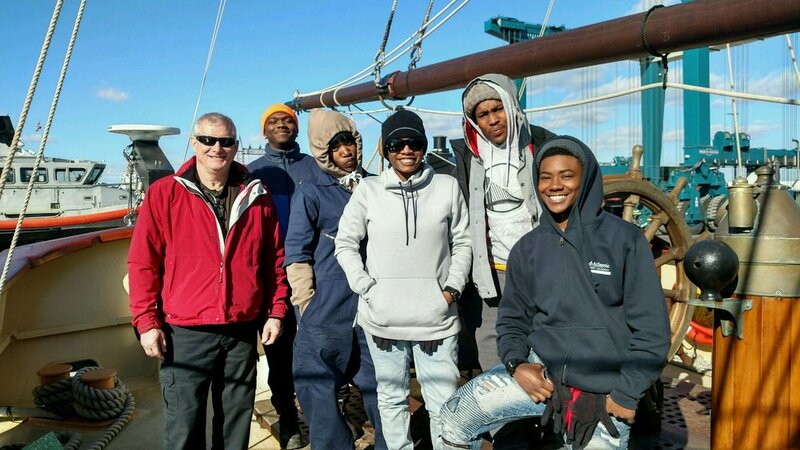 “Practical experience at sea is a key component.” She noted that a MAMA student who sailed aboard Perry last year has since been working around the world aboard commercial cargo vessels. Throughout the year, SSV Oliver Hazard Perry is offering various open-enrollment teen and adult programs, the latter with options in April for participating in three TALL SHIPS CHALLENGE® Festivals with accompanying Tall Ships® races in Galveston, Pensacola and New Orleans. In late April, anadult voyage (ages 18+) from New Orleans to Annapolis will take Perry to the Mid-Atlantic where in mid-May the Naval Academy Prep School Midshipmen candidates will board for the ship’s voyage to Philadelphia for another TALL SHIPS CHALLENGE® event.